Packing is not something that you can make compromises with when you have a house moving ahead of you. There are a lot of things that you have to consider when preparing for your moving day, but the manner in which you prepare your goods for the road is crucial to the successful outcome of the project. Fortun ately, you have Removals 24/7 by your side. 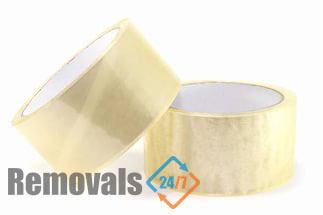 Removals 24/7 London does on time deliveries of packing supplies in London. There might be many moving companies around but we have already proven that we are the most responsible and viable option that you have. Our specialists will not only bring the packing materials to the address in the capitol you want them at, but they will give you some pretty useful tips about how to get around the job in a more efficient manner, so that you complete it quicker and up to better results. Mix and match our London packing supplies delivery with some of our comprehensive moving services and you are going to have a winner. For example, our removal options are truly efficient when it comes to moving homes, offices and single items. Our vans are modern and very well maintained. To further guarantee the safety of your goods while on the road, we have ensured that all vehicles have moving blankets, belts and straps to secure the boxes during transportation. All vans are tracked via GPS so that you know exactly where your items are at all times. Feel free to get in touch at any time for further details about the way in which we can help you with your removal pros in London, and in order to request a free no obligation quote for the full price of your project too. It is easy and it is the right thing to do. London consists of The City and 32 boroughs. The City is the administrative and financial heart of the capital and very few people actually live there. Things are different in the neighboring City of Westminster, which contains some of the most desirable residential properties on the territory of the capital today. London’s Chinatown is also located here – it is a very popular tourist attraction. Other high-end residential areas in London include Camden and Chelsea. North London contains many comfortable suburbs that comprise almost exclusively from old Victorian and Inter-war period semi-detached houses.